Welcome to Railroadiana Online, a website for collectors and others interested in railroad history and its artifacts. 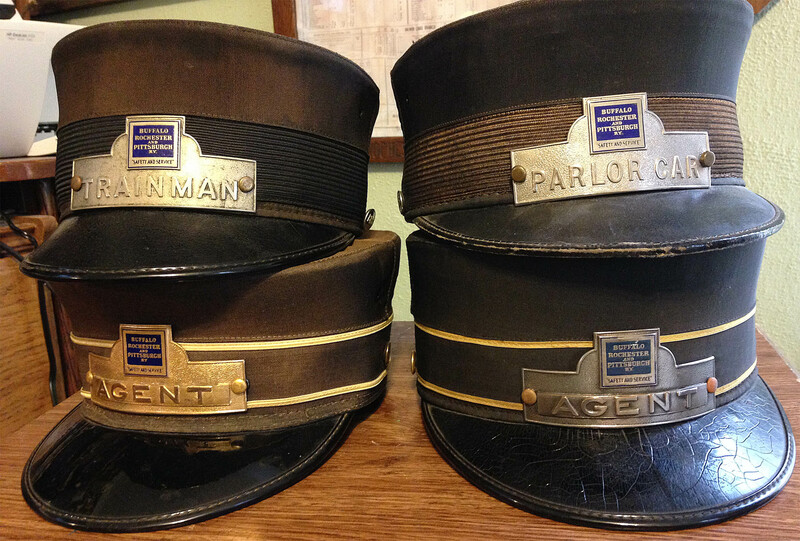 Hat Badges from the Buffalo, Rochester & Pittsburgh Railway. 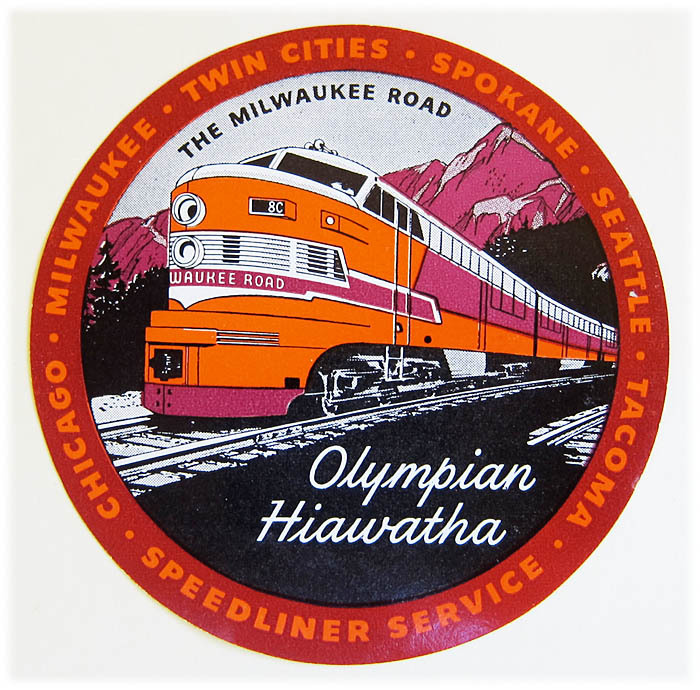 The BR&P logo badges were first adopted over the strip badge in 1916, and were in use until the B&O takeover in January of 1932. The reason for the silver and gold agents' badges -- as told by a BR&P historian -- was that the agents were first issued silver badges but complained when conductors were issued gold badges, thus making the next issue of agents' badges gold! [Thanks to Stan Carlson, Salamanca Rail Museum]. Click on the image for a larger version. See past featured Items. RR Glass colors and "Cobalt Blue"
Error in RR Names Database? Round Top Adlake Lamp ID?